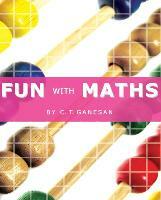 An entertaining approach to Basic Mathematics As long as man knows counting he is a mathematician. Only the approach to application in practice is different for different people. This book offers thirteen chapters with 392 entertaining problems to challenge and assist enthusiastic children to sharpen their brains. A few examples from this book are given below. �1/4 = 25p Square-rooting each side �1/2 = 5p 2000 years old Indian magic square has more than a dozen amazing properties! Vedic Mathematics from Hindu scriptures allows problems like 507 � 492, (99998)2 etc. to be solved in few seconds. 7(HOT MIX) = 6(MIX HOT). What is this? .and many more fun exercises. Enter inside and enjoy yourself.